This weekend I have no fixed expedition plans… Tomorrow Catherine and I head out to Comox on Vancouver Island to help her parents move, so it could be that the only photo ops come from the ferry ride. That being said, last time I was at the old homestead, there were two wet eagles perched about 20 feet off the balcony, so that was something! So the details of the expedition are sketchy and mysterious as of now, but sometimes these turn out the best…Stay tuned for the results! 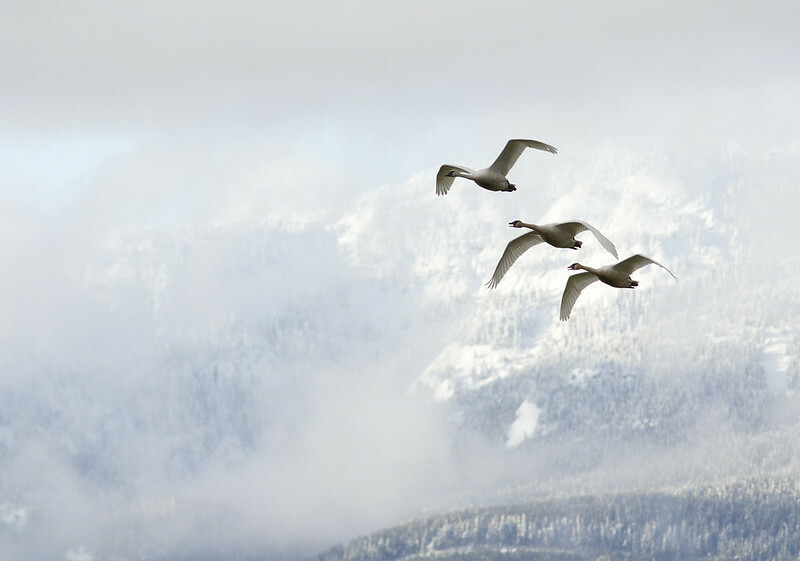 Trumpeter Swans are another Comox Valley wintertime treat. Great shot with the Trumpeters! Thanks! Today is looking nice, so if I get some time off, I just may go see them!